No matter your age, lifestyle or gender, there’s always time make the best of your complexion. If you want results and you want them now, this edit was hand-picked with you in mind. Perhaps your skin is feeling super sensitive with the changing of the seasons, or maybe you’re feeling the effects of gravity and your complexion is beginning to look slackened. No matter your concern, we’ve rounded up the best French Pharmacy skin solutions to help soothe, smooth, renew and refine your skin without having to change your whole skincare routine. Are you ready for some rejuvenation? According to our recent tweet, acid toners are proving to be a real skincare saviour for most right now and Vichy’s Idealia Night Peeling is no exception. Created without gritty grains or beads, this exfoliating lotion works gently overnight to resurface and refine the texture of your skin, encouraging a youthful glow by morning. Night Peeling is packed with skin-smoothing ingredients. Within its water-like texture lies a sensitive skin-friendly combination of 4% glycolic acid to dissolve the bonds between dead skin cells. The combination of antioxidants, fermented black tea and polyphenols are what helps to repair your skin overnight, letting you wake up to a soft, even complexion. 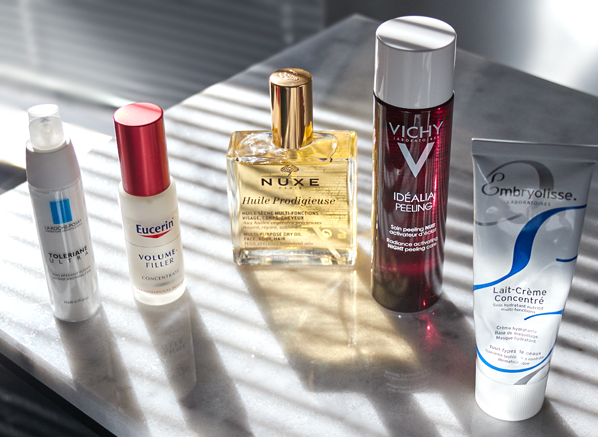 How do you use Vichy Idealia Night Peeling? Depending on your skin’s sensitivity levels, it may be best to start using Vichy Peeling two to three times a week at first, then when your skin starts feeling comfortable, up your application to alternate nights. It’s recommended that you apply Idealia Night Peeling in the evening to freshly cleansed skin. Use it before your serum but after your face wash. The Vichy Idealia Night Recovery Gel-Balm is the perfect final step if your main aim is to revive the softness of your skin. Rated 5 stars by our customers, Nuxe Huile Prodigieuse Dry Oil can do no wrong! Multi-purpose by name and multi-purpose by nature, its 98.1% natural, botanical oil-rich formula is the reason why you can use it almost anywhere for an instantaneous glow. Perfect for your face, hair and body, you’ll adore the comforting smell and texture of this dry oil. Within the formula is a softening combination of fatty acid enriched oils and repairing vitamin E, which is enough to protect your skin from over 90% of free radicals that set out to harm your skin. 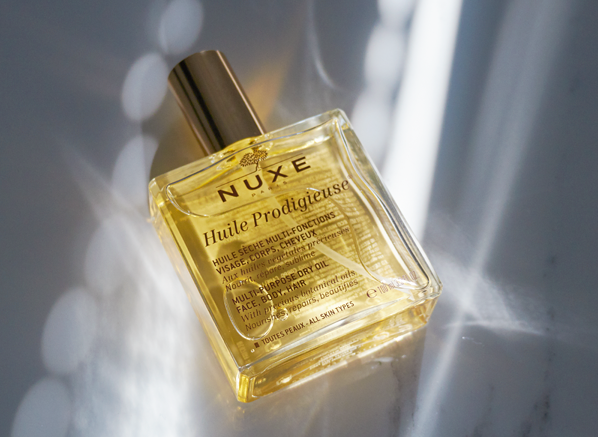 How do you apply Nuxe Huile Prodigieuse Oil? Face: Choose to apply in the evening as a reparative treatment, or mix with your foundation in the morning for a super-radiant finish. Body: Massage into damp skin to lock in the moisture for longer. Hair: Apply the oil to the ends of damp hair, then wrap your head in a warm towel for 30 minutes to increase the speed of absorption. The result? Super shiny hair that looks and feels soft. It’s impossible to not have heard of Embryolisse, a cult-favourite 3-in-1 skincare essential that never fails to get spotted in a skincare addict’s shelfie. The best for an instant slather of hydration, this comforting emulsion plumps your skin with moisturising shea butter and soy proteins, instantly creating a comforting barrier that makes for the perfect makeup base. How do you use Embryolisse? Cleanse: Every morning and evening, massage into your complexion and then remove with a damp cloth. Moisturise: After washing your face, apply a layer of Embryolisse, then leave to sink in. 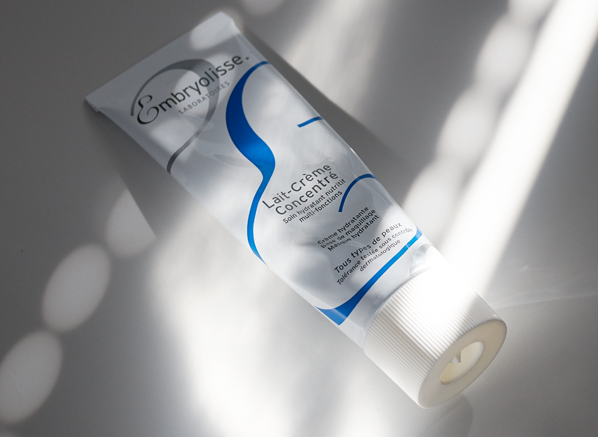 Primer: Makeup artists swear by Embryolisse as a primer. Apply all over your face, then leave for 30-60 seconds before applying your foundation. If you find there’s too much excess, use a dry cotton pad to wipe away any product before applying makeup. Skin slackening and the formation of fine lines and wrinkles can be a worry for most. Stop your anti-ageing search here with the Eucerin Volume Filler Concentrate, a tightening serum that helps your skin to regain its youthful glow. The Volume Filler Concentrate not only works instantly to smooth away the appearance of fine lines with plumping hyaluronic acid, but its protein-packed formula works overtime to redefine your facial contours and strengthen your skin’s collagen production, helping to slow down the effects of ageing for a noticeably firmer finish with or without makeup. 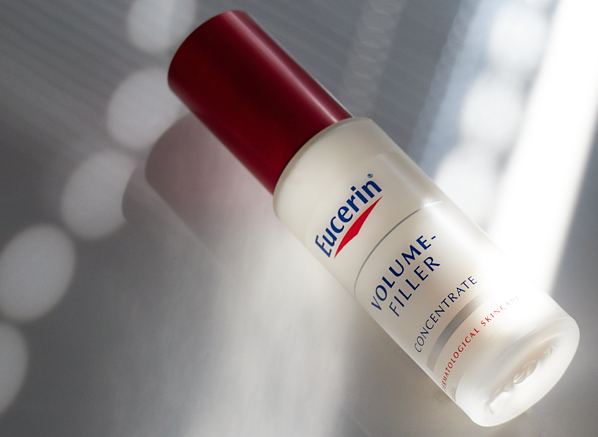 How do you use the Eucerin Volume Filler Concentrate? It’s best to apply the Volume Filler Concentrate to clean skin in place of your daily serum. Pat in a pea-sized amount before applying your favourite moisturiser. ‘Tis the season for reactive skin to start to play up. If you’re experiencing any flare-ups, trust in the cult-favourite Toleriane Ultra. Awarded with a special Allergy UK Seal of Approval from the British Allergy Foundation, Toleriane Ultra’s minimal but moisturising formula cools and calms sensitive, itchy or redness-prone skin both instantly and over time. The infusion of neurosensine calms skin irritation, making this a daily essential for anyone who regularly experiences uncomfortable reactions. 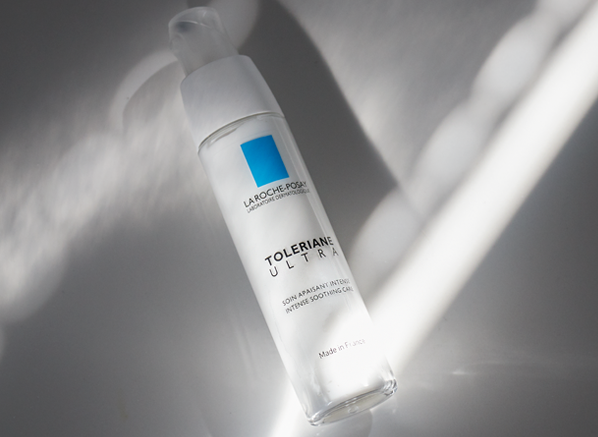 How do you use La Roche-Posay Toleriane Ultra? You can use Toleriane Ultra twice a day on your face to calm and around your eye contour to soothe. This entry was posted on Friday, October 12th, 2018 at 8:48 am and is filed under Bath & Shower, French Pharmacy, Hints & Tips, Make-up, Skincare, Tried & Tested. You can follow any responses to this entry through the RSS 2.0 feed. You can skip to the end and leave a response. Pinging is currently not allowed.